Ganbare! Kamataki Blog: がんばれ!窯焚きブログ | We are potters in the U.K.
On the 11th of March it will be 2 years since the devastating earthquake and tsunami struck north-eastern Japan. The Kamataki Aid team has been trying to help potters affected by this disaster and our team member Gas Kimishima, is in the process of organising a charity auction of international potters’ work. 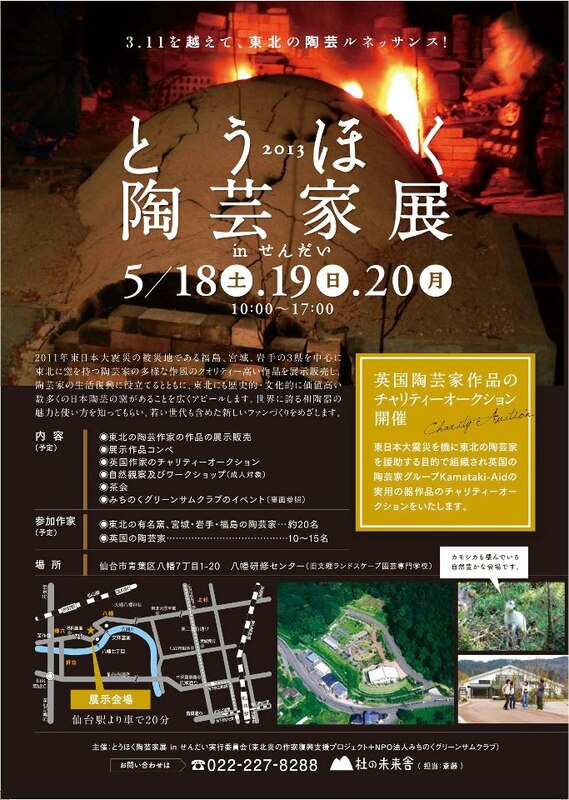 It will take place at the Yawata Study Centre in the earthquake-hit region of Sendai and is being arranged through the Tohoku Potters’ Exhibition in Sendai Committee which is a non-profit organisation. All the money raised will go to Japanese potters who were affected by the earthquake. Our gallery provides you with the opportunity to show your work online and the 50% commission we take goes to Kamataki Aid Fund. Selection will be made from those shown on our Kamataki Aid online gallery. We will be selecting mainly functional ware to send to Sendai as we hope that the winning bidders can use and enjoy work made by potters from all over the world. The selected pots will be sent to Sendai in Japan for auctioning at the Tohoku Potters Exhibition. For further information on how to apply and show your work on our Kamataki online Gallery. Please click here for ‘Kamataki Aid’ website and email us at ‘Kamataki-Aid’. We’d like to congratulate Yuki Kokubo on raising the funds to create her film ‘Kasama-Yaki’ (Made in Kasama). The film documents the lives of her parents, Katsuji and Shigeko Kokubo, two potters living in Ibaraki prefecture, and the impact the triple disasters on March 11, 2011, has had on their lives. 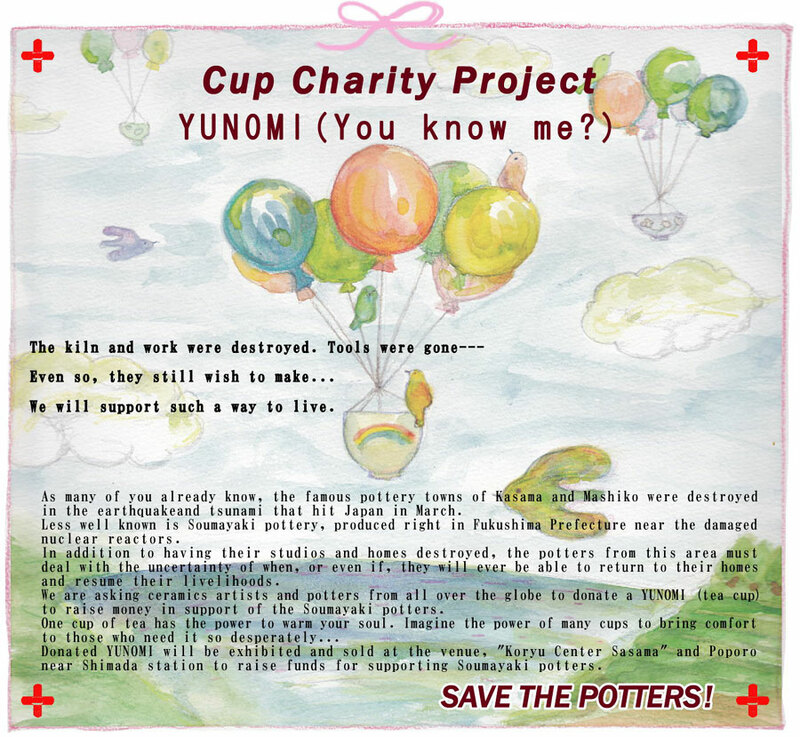 Yuki will document their participation in two large craft fairs as a way of illustrating the effect of the disasters not only on the lives of potters, but on Japan as a whole.